I-19 south to Continental Road. Turn west and continue for approximately 2 miles. CPAC is located on the north side of Continental Road. I-19 north to Continental Road. Turn west and continue for approximately 2 miles. 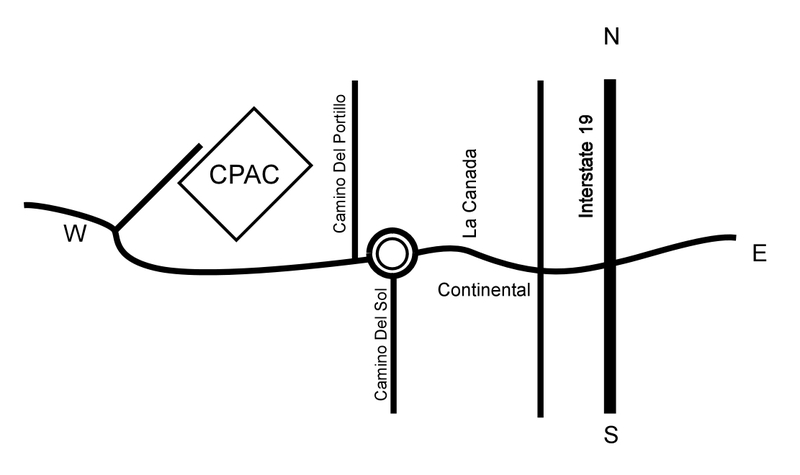 CPAC is located on the north side of Continental Road.